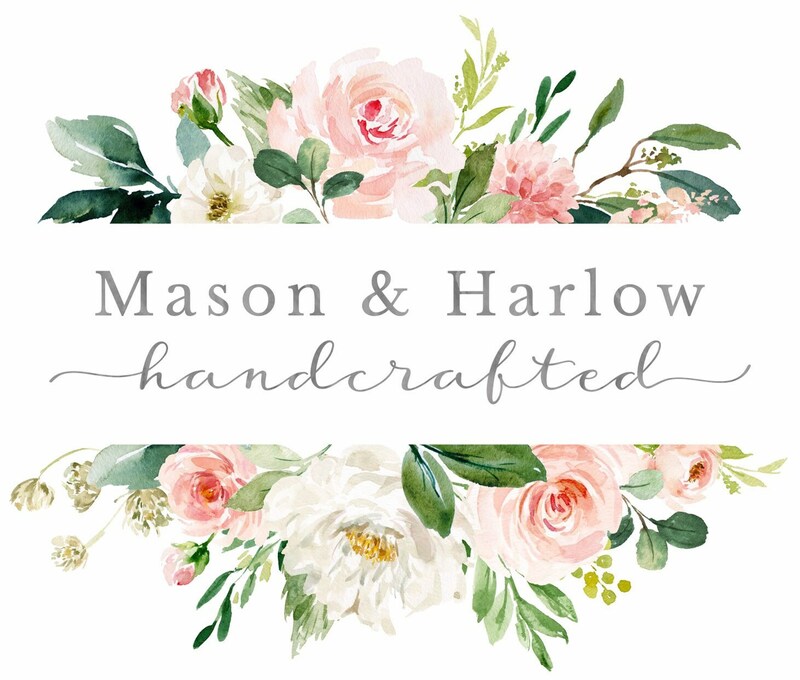 Welcome to Mason & Harlow! Sign up for email and be the first to know of amazing sales, exciting new products, and the latest happeninigs @ M&H! I accept Pay Pal, Credit Cards and Etsy Gift Cards. I ship USPS First Class Mail. I do not typically accept returns, however, if you are not happy please contact me and we can work something out. If we agree that you can return item, it mush received in the same condition that it was sent. If it is not in same condition, no refund. Shipping fees back to me are up to customer to absorb. I will refund for item only, no shipping fees. I do not accept cancellations on custom orders or if I have already started your order. Please note that I am working to fill orders as quickly as possible and you need to see shop announcement for current turnaround times. I always update turnaround times there. If you have any issues, please contact me directly and we will work something out. I don't typically accept refunds but I do want you to be satisfied with your purchase. I am not responsible for any extra fees or custom charges that may incur. The buyer is responsible for those. All items are made as ordered. Please see shop announcement for current turnaround time. I will do custom orders. Please just convo me with what you have in mind and I will let you know if it is possible. Customer satisfaction is my top priority. If you ever have a problem, please contact me and I will do what I can to make it right!